The museum regularly gets new donations to add to the store of knowledge about the town. These can be photographs and objects, but sometimes they are memories. We recently received this from Margaret, who wanted to share her memories of the cinema of her youth, the Astonia. How sad to see another landmark in the Stevenage of my youth now gone, I’m referring to the Astonia cinema in Pound Avenue, which eventually was turned into a snooker club. 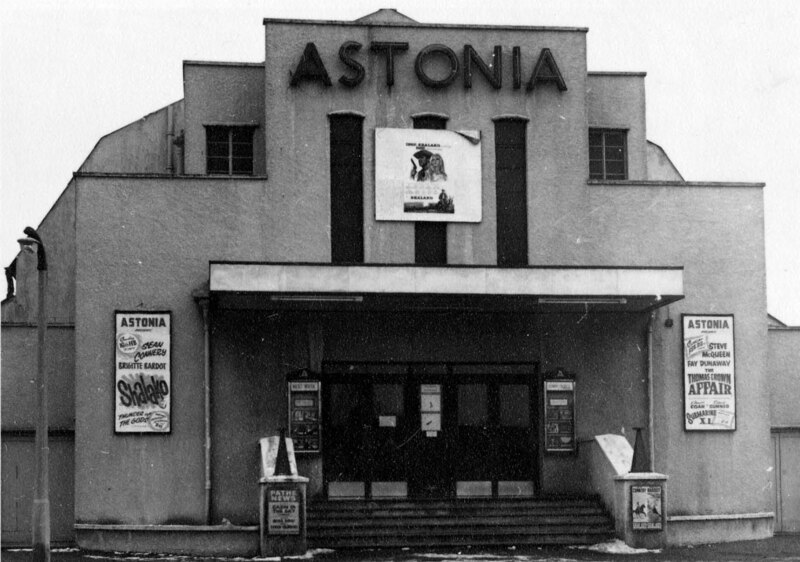 The Astonia Cinema was a beacon of excitement in the 1950s and 1960s. We couldn’t wait to go to “the flicks”, usually Friday or Saturday night, except for the Saturday morning kids’ cinema. The favourite latest films or epics of the day would be a “must-see” and I can remember waiting in queues which stretched might round the corner of Pound Avenue into Sish Lane, and even across the road outside the Stevenage Knitting Company, which is also now gone and the space built on. The cinema lady usher would let a group of people in gradually, shuffling up the steps until the seats were filled. It was almost like a military procedure, all very calm and with little bad behaviour from the “younger set” anxious to get in. I also remember “big George”, who I understood was an ex-boxer who was always on hand to deal with any unruly lads who would cat-call and whistle at any unplanned breakdown in the film or hurl things across the rows of seats. Any unruly lads were soon deposited outside on the pavement! If there was a lovey-dovey romantic film on, there was a natural clamour for the back row, a bit more expenixsive then the fronts stalls. Any impropriety was usually spotted and the couple were warned by a flash from the cinema usher’s torch. Acceptable behaviour was a clinch and kissing in the back row with an arm around your shoulders, sometimes there was more action there than on the screen! The journey to the Astonia was usually Shanks’s pony as the finance was kept for the cinema ticket and food. You could buy sweets , popcorn and soft drinks from a kiosk in the foyer. As we were not old enough to frequent the old town pubs, places to buy food at that time were limited. There was a window of opportunity at the White Lion in the High Street where, from a small window near the saloon bar, you could get a hot steak and kidney pie or a bag of chips and a soft drink. Otherwise it was fish and chips from Fishy Furr’s, the open-plan style fish shop where the delicious aroma meandered almost the length of the High Street. This topped off a night out at the flicks except for getting home by bus which meant a long wait in an even longer queue. Many of us gave up and it was Shanks’s pony home too. An alternative cinema called Publix on the Bowling Green end of the High Street was not so popular as it was much smaller and had a high staircase to get to the seats. Also there were residents scampering inside which could be heard, but that’s another story! Before the new town of Stevenage, Shephall was its own village with an ancient history; even appearing in the Domesday Book. In 1542 George Nodes, Sergeant of the Buckhounds to Henry VIII, was granted the manor and his family held it for the next 250 years. Samuel Unwin-Heathcote was the first of the Heathcote family to become lord of Shephalbury Manor. He was known to oppose the coming of the railway and chased rail workers off his land and broke their instruments. After Samuel’s death, his son Unwin knocked the manor down and built a new one, completed 1865. Unwin died in 1893 and left the estate to Colonel Alfred Unwin-Heathcote, who lived there until his death in 1912. He was the last of his family to live in the house, after that it was rented out until it was eventually sold in 1939. 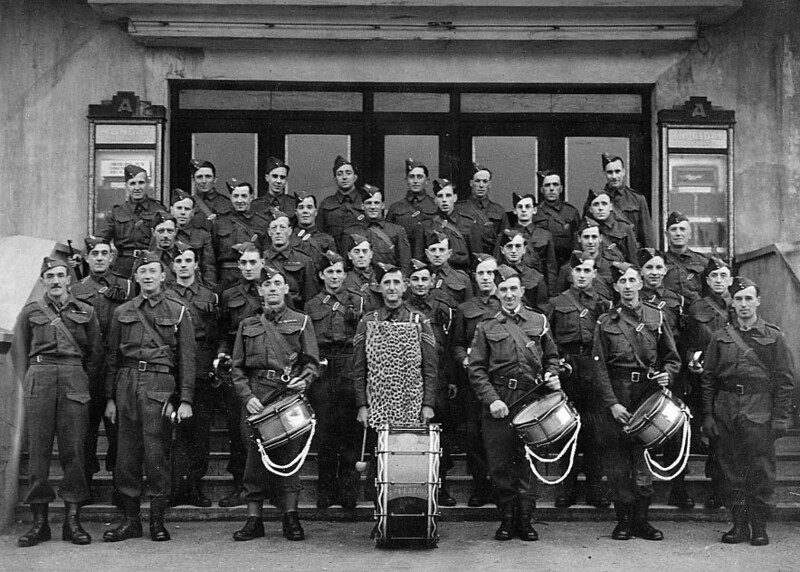 During the Second World War the house was used to house evacuees, then as a convalescent home for Polish officers. Afterwards, from 1950-1957, it became a Polish boarding school, then in 1959 an institution for children with behavioural problems. The Coptic Church bought it in 1991, they built a cathedral in the grounds and are still there today.